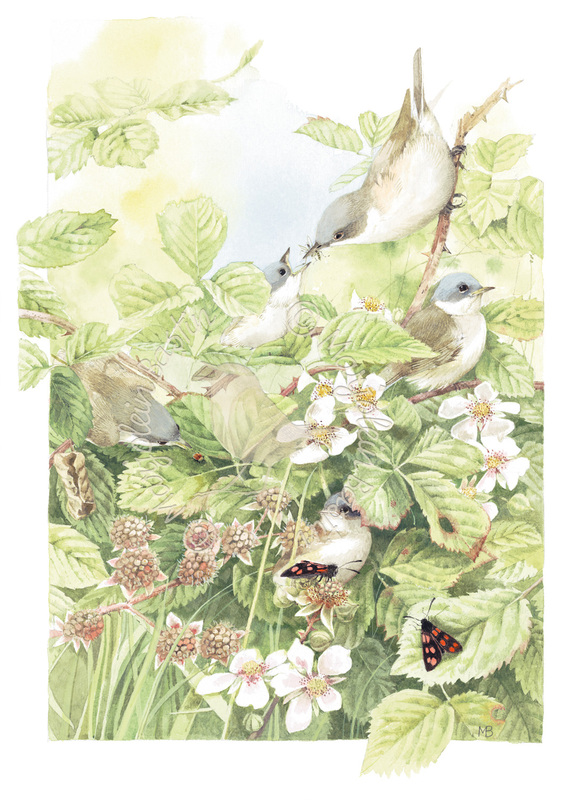 The Lesser Whitethroat is very difficult to spot in the blackberry bushes or the common sea-buckthorn, two of its favorite places to hide. That is unless the male sings his beautiful rattling song. But now the fledglings have flown the nest. They are quite hungry and very vocal about it. It isn’t difficult to follow these guys from shrub to shrub. Every time of the parents comes near the young start screaming for food.